Grace Bennett – PTSA Legislation Chair – attended this year’s Focus Day at the Legislature. The following report was shared. “The year’s Focus Day had about 200 advocates showing up in Olympia to Stand Up for all kids in Washington. Duncan Taylor, our Legislative Director reminded us that the most important advocacy starts at the most local level. The local level starts at our local PTSA and spreads out into the community. This year rather than marching and rallying on the steps, we all met in the Columbia Room to talk about advocating for education. We discussed the Three C’s of Effective testimony, be clear, concise, and compelling. We also reminded each other how important it is to have a plan. Reach a goal and then what’s next? Another comment was how much stronger some PTSAs felt when they had Advocacy committees. (Hint, hint!) To make a difference, advocacy has to happen year round. 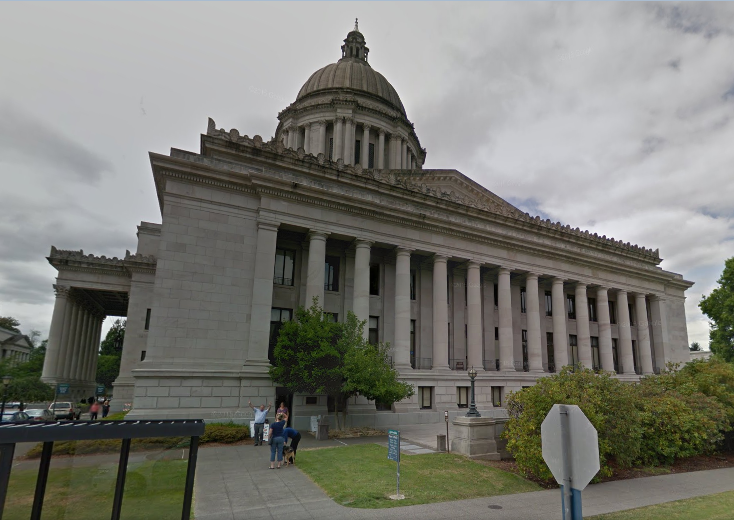 So while this session down in Olympia may be more about elections, rather than moving on education, we can make plans to meet with our Legislators during the summer. Invite them to our schools before they go back into session. The summer is a great time to get our passion for fully funding our scholars’ education now, across to those who are representing us in Olympia. While I do feel our Senator and Representatives here in the 34th district are behind education, the more they hear from us, the more they can take that correspondence to the naysayers. We were also encouraged to connect with the local media reporters that cover the education beat. Connecting with local clubs and community organizations is another way to get the word out on funding education and other PTSA top legislative priorities. If you can get to Olympia, and you know a Law Officer or a Veteran, please have them speak in support of education. Rumor has it; they are the people that the Legislators like to hear from! Please, email, call, write, send a postcard, and let Olympia know that we are tired of raising money for things the state should be providing. Our Legislative Liaison, Grace Bennett has worked hard to represent Madison when advocating for our students. A big part of PTSA is advocacy. The National and state PTAs are a powerful voice for all children, a relevant resource for families and communities, and a strong advocate for public education. This page provides you with links, addresses, and other information to assist you in keeping up with what is happening around education at the legislative level. As volunteer time permits, the Legislative Liaison seeks to provide the Madison community information around advocacy for our students at the community level. This school year started with a SEA strike. During this time, new advocacy groups formed. In social media, people came together to discuss the district, their schools, the teachers’ needs, and of course, what will be next for their children. The resources section of the page includes links to some of these groups which seek to stay connected and knowledgeable about what is happening in the district. These groups are advocating for students. Are you passionate about education and children’s issues? Do you know of any additional groups that support education and children? If you have connections in Olympia, let’s talk. If you are meeting with your Senators or Representatives, please ask them about their support around education. Let us know who you are! Please reach out to our Legislative Liaison. Funding Education fully is the Washington State PTA’s top priority. That means that once the next session gets under way, PTA lobbyists will be pushing our Legislators to honor what the Supreme Court has already declared. It is the state’s Paramount Duty to fund education fully. SAVE THE DATE: February 3rd is FOCUS DAY. Ride with us to Olympia and have your voice be heard along with PTA advocates from across the state. Let’s get education fully funded this session! TTY/TDD users should contact WA Relay Service at 711 or 1-800-833-6388.